Prof. Mohamed Gaber Abou Ali, the Dean of the faculty of Engineering, assigned the task of participating in Victoria College Science and Engineering Fair (SEF) to a delegation that was comprised of Dr. Mohamed El Kholy, along with 10 students who joined Pharos student branch of the Institute of Electrical and Electronics Engineers (IEEE). The competition was held in Victoria College on Saturday 18/11/2018. Victoria College SEF aimed at selecting the top Engineering projects of pre-university students in Montaza Educational Directorate to be qualified to Intel International Science and Engineering Fair (ISEF) which was run by the Ministry of Education in partnership with the Ministry of Communications and Information Technology and Intel Corporation. 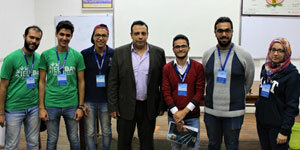 On their part, Dr. Mohamed El Kholy and 10 IEEE students provided the school students with technical support and carried out an overall assessment for their projects as they were passing by them. They also oriented them towards the study programmes of the faculty of Engineering as well as the great deal of interest the faculty of Engineering paid to the students’ scientific projects and the support given to them for participating in international and local competitions. 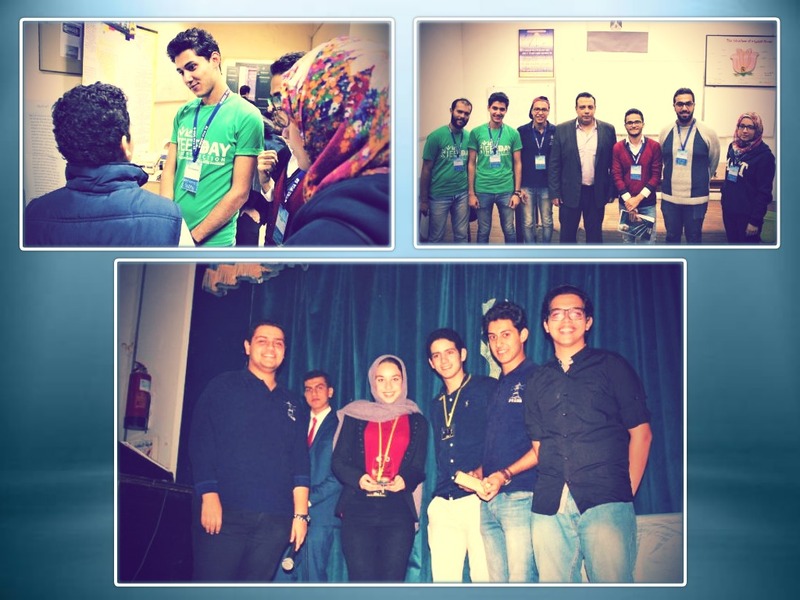 At the end of the competition, the PUA delegation presented the plaque of the faculty of Engineering as a prize to the top Engineering project and took a photo for memory’s sake with the school students.